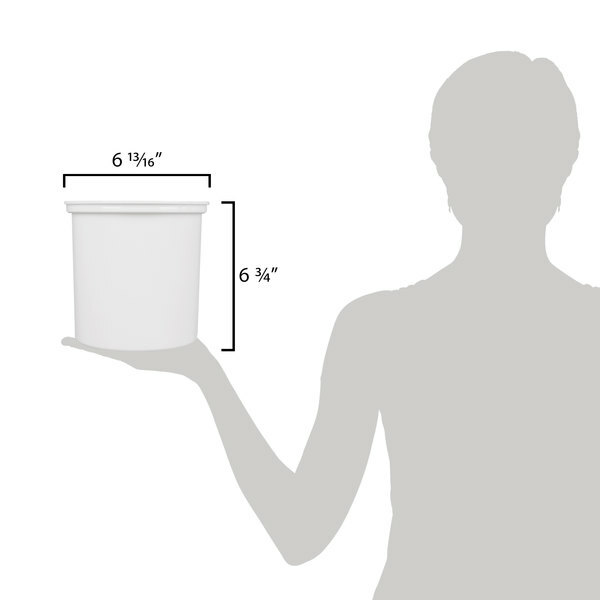 This Cambro CFR18148 white, round 1.7 quart capacity ColdFest crock keeps contents chilled at or below HACCP guidelines at 41 degrees Fahrenheit, without the use of messy ice. Simply freeze each crock for eight hours (or overnight) before filling with your pre-chilled products. 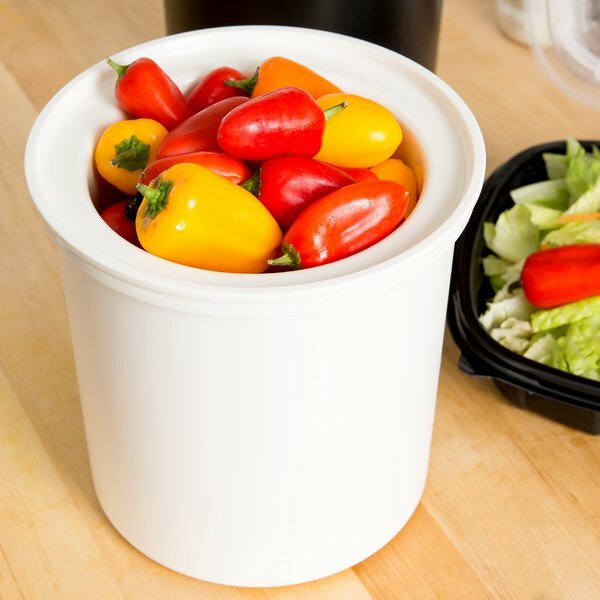 Use it to hold your homemade potato and pasta salads at catered events, or even signature salad dressings alongside a salad bar! It can also hold creamer packets next to your coffee station and any other toppings or condiments you may need with a meal. Match this chilled crock with CFPMRC135 Maxi Chunk Pump with Lid, CFPFRC10135 Fixed Nozzle Pump with Lid, or CFPSRC10135 Standard Pump with Lid (all sold separately) for an economical chilled pump condiment dispenser that will keep your mayonnaise, fresh salsa, and other perishable condiments at proper serving temperatures. 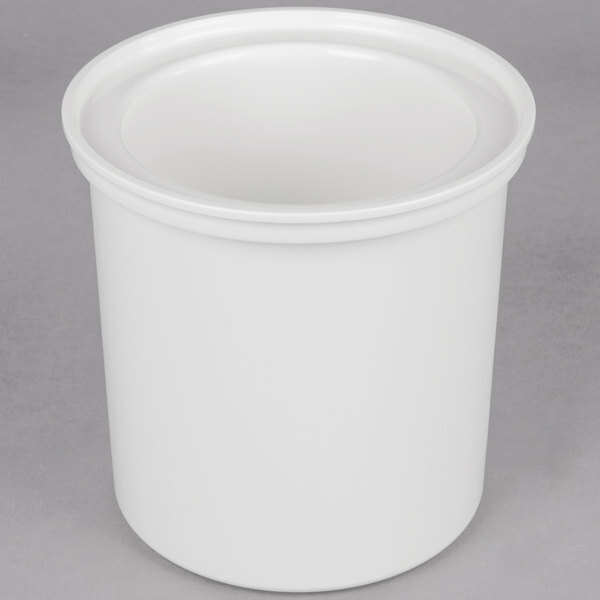 This 6 3/4" deep ColdFest crock holds contents cold for up to six hours within standard food bars or make tables. As an added benefit, these crocks will neatly stack without wedging or sticking during both freezing and storage.